A compact moisture analyzer that provides one-step operation for theprecise quality control of all types of cereals, foods, fish, nuts, and seafood is available from Alliance Scale, Inc. of Canton, Massachusetts. The Alliance-Ohaus MB-Series Moisture Analyzer utilizes an infrared halogen heating element with a gold reflective housing that reaches 200°C within seconds to uniformly dry samples. Featuring four selectable automatic drying programs that allow easy operation by simply setting the temperature and time, it provides repeatability to 0.015% using a 10g sample. 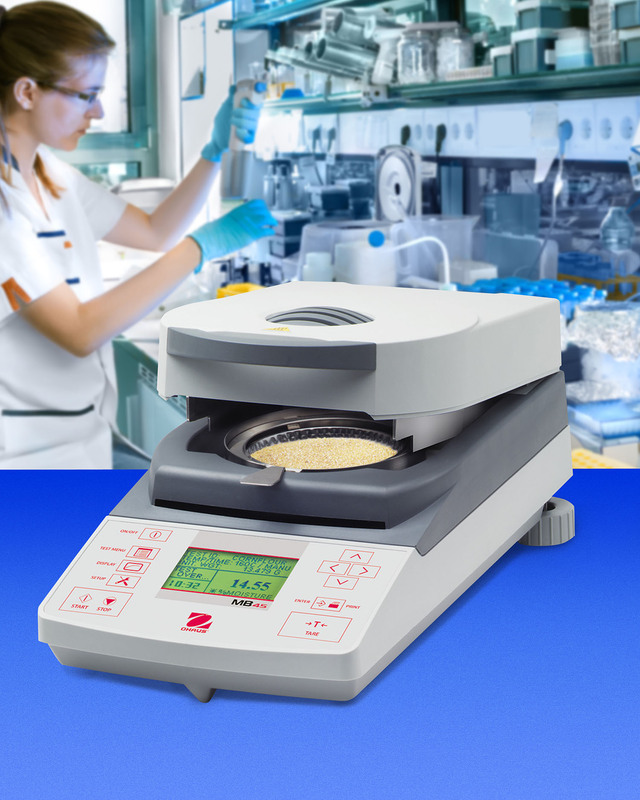 Equipped with a sample capacity of 45g, with 0.001g readability, and a 0.01 to 100% moisture range, the Alliance-Ohaus MB-Series Moisture Analyzer displays percent moisture, percent solids, weight, time, temperature, drying curve, and more. Measuring only 8.5”W x 14.5”D, it stores up to 50 drying procedures which can be uploaded via an included RS232 port. The Alliance-Ohaus MB-Series Moisture Analyzer is priced from $2,399.00 and includes a 5-year manufacturer’s warranty.